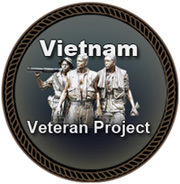 The Vietnam Veteran Project is a 501(c)3 non profit tax exempt charity organized by Vietnam Veterans to serve Vietnam Veterans. All staff are unpaid Vietnam Veterans who care about helping other veterans. Respect the resources provided to us by donors and not waste money on overhead. All officers and directors are unpaid volunteers. Donations received through fund raising in a particular location will be used to benefit Vietnam veterans in that local community. We will never sell or share any information we collect on any veteran or donor. We will not waste our resources sending inexpensive blankets, refrigerator magnets, note pads, calendars etc to you to try to get more donations. We will not hound you with expensive direct mail pieces to solicit more donations from you. Unlike other organizations we will not waste our resources on expensive trips, entertainment or anything wasteful. 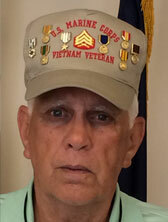 Russ Donnici is the Founder and CEO of the Vietnam Veteran Project. He brings over 40 years of leadership experience to the organization. Russ enlisted in the U.S. Army in 1969. He served in Vietnam (70-71) with the 5th Transportation Co located in Cat Lai. He also served TDY (Temporary Duty Assignment) with the 1099th River Boat Company, 328th Transportation Co and the base Security unit. After an honorable discharge from the Army Russ pursued a career in the HVAC Mechanical Contracting industry including starting and owning his own firm for 40 years. He led the company to 8 National Awards. In 1995 Russ started another company called Outreach Heating & Cooling, a 501(c)3 charity. Its mission was to provide free heating and cooling services to low income individuals. Its services benefited approximately 5000 people. Russ and his wife Debi funded the company for 21 years. During the entire period of its operation it had no paid employees. In 2017 Russ began and completed the process of changing the charities name to the Vietnam Veteran Project, dedicated to the forgotten veterans of the Vietnam War. If you would like to contact Russ CLICK HERE. 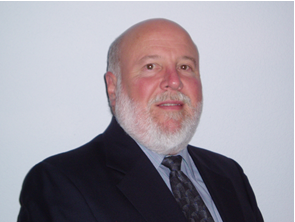 Bob Espinola serves as Executive Vice President and participated in the formation of the Vietnam Veteran Project. Bob was married to his deceased wife Carla for 40+ years. Bob was born in Lowell, Mass. He was a U.S. Marine and served in Vietnam Aug 1967 to Sept 1968 with India Company, 3rd Marine Division as a Sergeant and Squad leader. He survived the ‘68’ Tet offensive and was awarded the Silver star, Navy Achievement Medal with a Combat V for valor as well as a Presidential Citation. Bob was in the retail and wholesale auto parts business and provided the leadership of his own firm for 40 years before retiring. Bob enjoys playing golf, bowling and playing poker. He looks forward to being able to help Vietnam Veterans that have been forgotten regain their dignity. Roy Swicegood serves as Executive Vice President and participated in the formation of the Vietnam Veteran Project. Roy is married to Kathy and is the father of 5 children, Grandfather of 15 and Great Grandfather of 1. Roy was born in Southern. CA. and raised In Ventura, CA. He is a College Graduate and was a U.S. Army Combat Engineer in Vietnam Veteran, (1966-67). His unit served with distinction and was award the Presidential Unit Citation. Roy is proud of his military service and has the heart and desire to serve Vietnam Veterans that may be struggling in life. Roy feels the Vietnam Veteran Project is an opportunity to give back and serve Vietnam Veterans that have been forgotten. Roy is active in his local Church Community and enjoys helping others. He feels blessed to be able to help others in need and share the bumps in the road he has experienced in life with them. 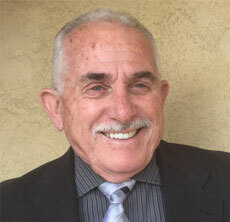 Roy retired as an Alameda County Sheriff Deputy and also has a background in retail sales, owned his own Carpet cleaning business for many years where he developed his leadership and organizational skills. He was also a member of Operating Engineers Local #3 and has experience in outside advertising sales. He enjoys outdoor sports such as water skiing, hiking, BBQ’s, car shows, traveling with his wife and going to the gym.